Getting everything you desire in your next family vehicle is easy when you choose one of the Chrysler Pacifica Touring L minivans in our lineup. Even this vehicle’s baseline trim includes a dependable powertrain, a smooth, responsive drivetrain, and dozens of interior features that you’ll love—and those who opt for the Touring L trim level will of course find even more to get excited about! The Chrysler Pacifica Touring L includes many of the top entertainment, safety, and technology features available in any automobile today, and indeed, many which are utterly unique to this one-of-a-kind Chrysler. It’s the perfect minivan for our friends and neighbors in Breckenridge and Fargo. 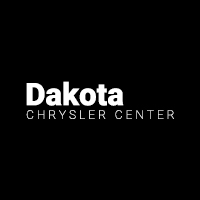 Shop Chrysler Pacifica Touring L Minivans at Dakota Chrysler Center! You don’t have to spend a fortune to bring a Chrysler Pacifica Touring L minivan home with you today! Those who take advantage of our offers and incentives can get an incredible deal on a model the whole family will appreciate, and since we’ve earned a 1st Place Customer Experience Award for Excellence, you know we’ll do everything we can to meet your needs. We’d love to see you behind the wheel of the minivan that’s right for you! Contact us today to learn more about our financing opportunities and vehicle specials. While you’re here, check out our inventory of white Chrysler Pacifica minivans.